(TORONTO, ON) – The Repeat Offender Parole Enforcement (R.O.P.E.) 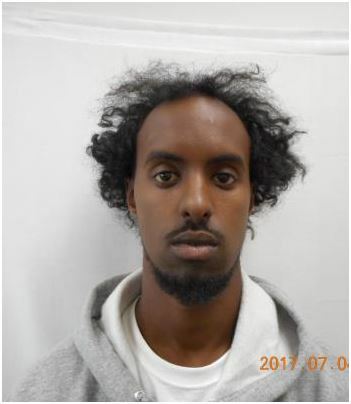 Squad is requesting the public’s assistance in locating a federal offender wanted on a Canada Wide Warrant as a result of his breach of parole. Ahmed Mohamed AHMED is described as an Sub-Saharan African Male, 27 years of age, 6′ (183 cm), 185 lbs (84 kg) with tatoos on his left arm. He is serving a two (2) year and ten (10) month sentence for firearm related offences, Possession of a Schedule I Substance, Possession of a Schedule I/II Substance for the Purpose of Trafficking and Failing to Comply with an Undertaking. The offender is known to frequent the Toronto area.